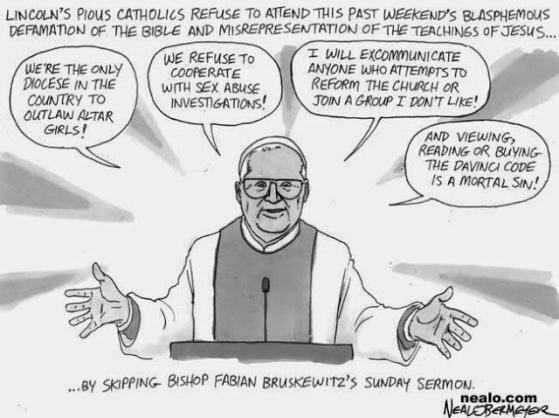 Fabian Bruskewitz, Bishop Emeritus of Lincoln, Nebraska has alway been a bit, well … off. He was the only one of 195 bishops attending a June 2002 meeting of the U.S. Conference of Catholic Bishops who refused to sign the Charter for the Protection of Children and Young People. The pampered prelate has been in the Catholic bubble his entire life. We've had bakers refuse to bake cakes for gay ‘marriages’ and as a result, they are imprisoned or fined. They have to go out of business. We've seen florists who don't supply flowers. I'm convinced that there is going to be every effort made to destroy everything Christian that would in the least bit oppose this kind of degeneration. I can't believe that a tiny minority of the human race would perpetuate and try to, not just seek tolerance, but actually seek acquiescence and support for a perversion that is repulsive to normal human beings. 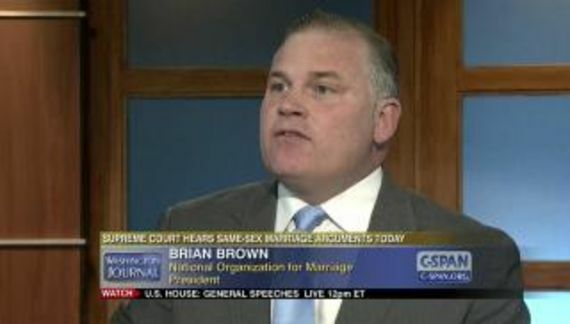 Bishop Bruskewitz called it “preposterous” that folks are buying the argument that the relationship of two men or two women who put organs into the wrong orifice should be made into a matter of “human rights or racial justice” and be equated with a sexual relationship between a man and woman that produces children. There are military chaplains, those who administer the ordinariate of the military in our country, who are fearful about what is going to happen if two lesbians, who claim to be Catholic, come in and insist that they be married by the Catholic chaplain. If he refuses, it is entirely possible that he will be court-martialed and have to spend 40 or 50 years in Leavenworth penitentiary. There was a time when Bruskewitz decreed automatic excommunication for anyone associated with a list of organization. One of those was Call to Action which simply seeks reforms in the Catholic Church. It is telling. These men live in a bubble without intimacy and free from criticism and even basic supervision. When speaking with him he is addressed as “your excellency.” They just do not live in the real world. And it shows.